Elliot leads the Wealth Management team at KB Financial. With over 10 years of experience as a Financial Advisor, his expertise lies in financial planning and wealth management with a focus on estate planning, risk management, and alternative investments. Prior to joining KB Financial, Elliot co-founded Gideon Strategic Partners, a boutique financial planning and wealth management firm in Santa Monica, CA. 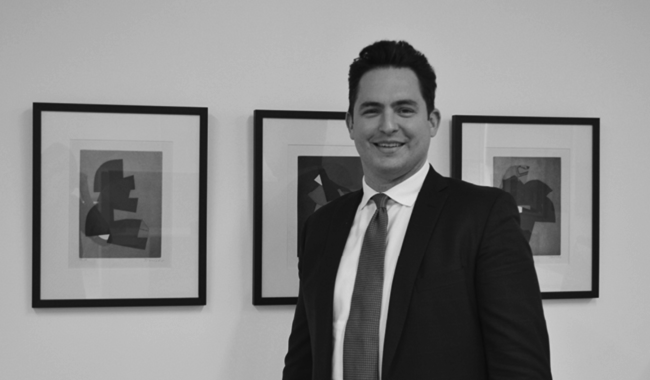 Elliot began his career in 2008 as a Financial Consultant at AXA and was promoted to Regional Vice President in 2015. He won several awards for production and management including Circle of Excellence, Summit, Hallmark I, and the Management Development Award. Elliot helped build and lead the top team in the country at AXA and was inducted into the Sterling Group and Elite Producer Group. He was a qualifying member of the Million Dollar Round Table each year at AXA. Elliot graduated from and played football at Union College and holds an MBA from the H. Wayne Huizenga School of Business and Entrepreneurship at Nova Southeastern University. He received the Retirement Planning Specialist Certificate from the University of Pennsylvania’s Wharton School of Executive Education and maintains the FINRA Series 7, 24, 63, and 65 securities licenses; as well as Life, Accident, and Health Insurance licenses. Outside of the office, Elliot spends as much time with his friends and family as possible. He enjoys music, travel, cooking, reading, yoga, art, and sports.